Since it looks like Windows XP will still be hanging around for at least a few more months, I thought I should share one of the cool tricks that I have found when installing it to theses newer Dell computers that have difference mode SATA controllers. Coming from the factory most PCs will come with Vista on it and be have the SATA controller in AHCI mode. Vista has drivers to use the controller in this mode, however Windows XP doesn’t. And since most computers don’t ship with a floppy and won’t recognize a flash driver when installing XP your only option is to slipstream the driver on to the Windows XP CD to make it boot the PC. Well with these newer Dells you have the option to go in to the BIOS and change in what mode the SATA controller operates. You should see options for ATA mode / AHCI mode and RAID mode. 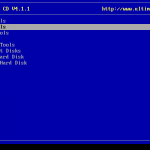 By selecting the ATA mode you can use the drivers already supplied by default on the Windows XP CD, once you get it installed you can use the Windows Device Manager to update the drivers to the AHCI ones. Below are the detailed instructions on how to install the AHCI driver once you have Windows installed by changing the SATA controller to ATA mode. You should now be presented with a list of drivers, this is where trial and error comes in. You will need to select the correct driver for your chipset. Here is a list of what I have for the AHCI driver for each model. There always comes a time when you are replacing the old with the new, but the real question is what to do with the old. Usually computers get resold, given away or recycled, however all of these things could lead to a compromise in information security. The easiest way to prevent this from happening is to wipe the hard drive with a DoD Compliant wipe. The easiest way to get this done is to use a great free program called Darik’s Boot and Nuke. 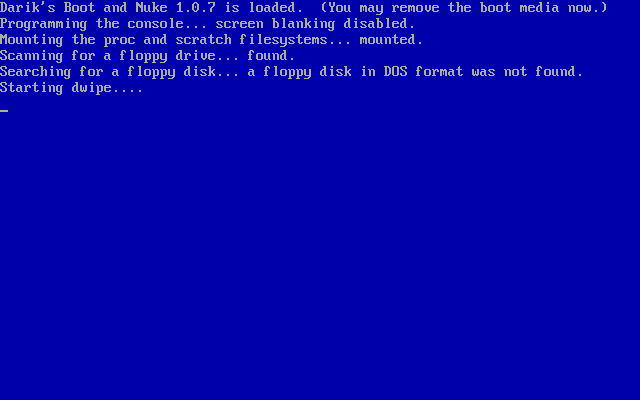 This program allows you to boot a computer and nuke the hard drive from being recovered using computer forensics. 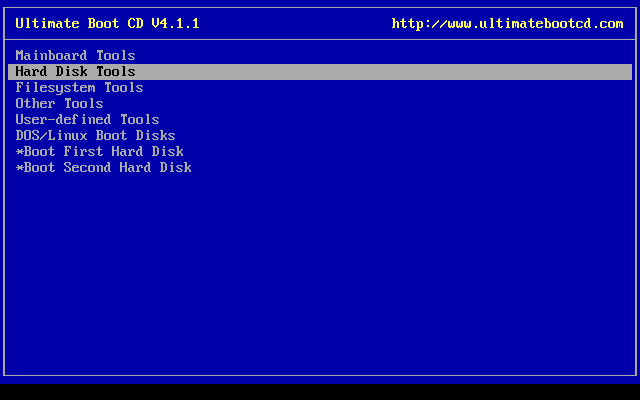 However rather than just burning this one program on a CD I would suggest downloading the Ultimate Boot CD. This CD contains tons of great utilities for troubleshooting and working on PCs and should be a part of any administrators toolkit. 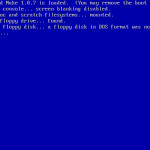 Well to get started wiping your old PCs hard drive, you will need to burn the Ultimate Boot CD to a CD and boot to it by either changing the boot order in the bios or getting to a boot menu where you can select which device to boot. 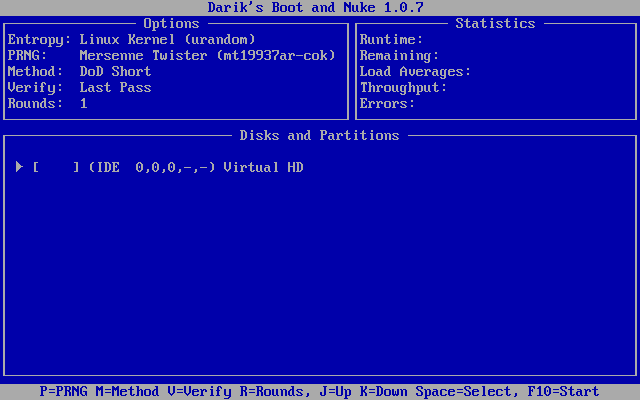 The first screen you should see once you have successfully booted to the CD will ask you to press enter to boot to the UBCD. 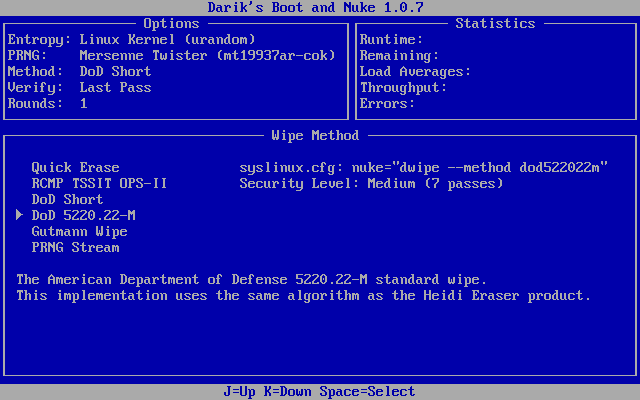 Next you need to select “Hard Drive Tools” then “Wiping Tools” and finally “Darik’s Boot and Nuke V1.0.7”. Once there it will take a minute to load, if it doesn’t it may not support your hardware / hard drive. However I haven’t run across a computer that it wouldn’t wipe. Once it loads up hit the (M) key to select method and change it to your preference, I typically use the “DoD 5220.22-M” method because this is what the military uses, and if it is good enough for them it is good enough for me. Once selected, be sure to press the space bar and select the drive or drives you wish to wipe and then press F10 which will let wiping commence. Now go grab some dinner with a friend or a frosty adult beverage at the local tavern because it will be a while before it is complete (depending on the size of your drive). Here are some screen shots that should help you step though the different screen just in case you get lost.